If you regularly consume financial news or economic commentary, you’re used to hearing about the multitudinous business challenges threatening workers’ job security and employers’ bottom lines. Some such challenges, such as workplace automation and certain aspects of globalization, are relatively new, and wrought largely by technological or political change. Others have been around since the dawn of private enterprise. For millennia, manufacturers – first small-scale, local shops employing skilled craftspeople and laborers, and later larger companies with increasingly vast and sophisticated operations – have doggedly developed and refined strategies for limiting waste, improving efficiency, and standardizing quality. Within the past few decades, two related but distinct doctrines have arisen to address these issues: Six Sigma and Lean Six Sigma. 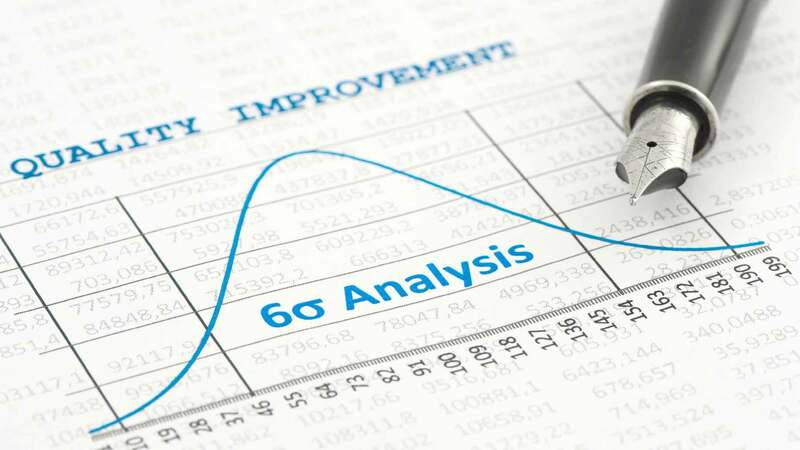 Six Sigma focuses on standardized quality – reduced variation and fewer defects in finished products through improved production processes and better design. Lean Six Sigma focuses on eliminating manufacturing waste and inefficiency by streamlining production flow from start to finish. Corporate leaders have enthusiastically – though not universally – adopted these doctrines, empowering their teams to achieve levels of productivity and quality once thought unattainable. The name “Six Sigma” refers to the Greek letter sigma, which is used in statistics to denote deviation from a mean. The doctrine’s original goal was to improve any process to which it was applied such that defects would arise in no more than 3.4 in 1 million opportunities – an accuracy rate of 99.99966%, and a defect rate per million opportunities (DPMO) of 3.4. Six Sigma’s original standard is typically attributed to Motorola, the Japanese electronics giant, which set a “six sigma” accuracy standard for all of its production processes during the mid-1980s. Motorola’s leaders then developed a coherent doctrine around the basic goal of Six Sigma Quality, saving the sprawling enterprise $17 billion between 1986 and 2004 (per Motorola University). As the benefits of Motorola’s approach became clear, other major manufacturers – including GE, Honeywell, and Ford – jumped on the Six Sigma bandwagon. Today, Six Sigma and Lean Six Sigma use is widespread in the manufacturing world, and is increasingly common in service industries (such as IT and finance) too. Though the original 3.4 DPMO rate remains the Six Sigma doctrine’s signature goal, organizations set their own DPMO goals based on their own assessments of what is practically achievable and what their customers are willing to tolerate. In many cases, these goals are less strict than the original 3.4 DPMO measure, though all by definition improve upon the status quo. Process Control. Six Sigma practitioners believe that the production process leaves no room for the intangible. In other words, all work can be reduced to inputs that produce outputs which contribute to – and add or subtract value from – the finished product. These inputs can be defined, quantified, and controlled, and therefore improved. The input-output relationship is described as y=f(x), where x is the input and y is the output. Organizational Buy-In. Six Sigma works best when everyone buys in. Organizations that effectively utilize Six Sigma generally have enthusiastic Six Sigma champions in the executive suite, Six Sigma experts throughout mid-level management, and rank-and-file employees who are thoroughly familiar with (and held accountable for following) the doctrine. Larger organizations often have dedicated Six Sigma teams or divisions responsible for coordinating Six Sigma implementation and holding employees accountable for its success. Qualitative and Quantitative Tools. Six Sigma relies on a host of qualitative and quantitative tools, not all of which are necessarily utilized in every Six Sigma project. Common tools in the Six Sigma toolkit include various types of statistical analysis (such as regression analysis and linear modeling), cost-benefit analysis, root cause analysis, process mapping, and Pareto charting. Well-Defined Methodologies. Six Sigma projects are guided by clear, well-defined methodologies that follow repeatable steps and can be applied to a wide variety of production situations. Though these characteristics sound somewhat generic (and perhaps even obvious), they differ from the characteristics and values of previous process-improvement doctrines in important ways. For instance, Six Sigma is entirely data- and outcome-driven, leaving no room for intuition. Also, Six Sigma – to a degree not seen in prior doctrines – more emphatically emphasizes the financial benefits (such as reduced production costs and higher profitability) of waste reduction and quality improvement. Furthermore, Six Sigma is heavily dependent on management- and executive-level champions, and is not regarded as effective in organizations whose leaders are not passionate about its adoption. The Six Sigma doctrine has two core methodologies, each designed for different situations. Both are modeled after the Plan-Check-Do-Act (or Plan-Check-Study-Act) cycle popularized by W. Edwards Deming, an influential quality control theorist and management consultant active for much of the 20th century. Define the process or system for which improvement is being sought, the needs of those for whom the process exists (usually customers using the finished product or service), and the goals of the improvement project (usually a measure of quality or cost savings). Measure and collect data on all relevant aspects of the process as it currently exists (“as-is”). Analyze collected data to determine cause-and-effect relationships within the as-is process or system and uncover root causes for all relevant factors impacting the process’s performance. Improve the process and develop a “future state” process using the results of the data analysis and the relevant tools in the Six Sigma toolkit, running experiments and pilot projects as necessary to test various approaches. Control the improved “future state” process using control systems (such as statistical process control) and ongoing monitoring of all relevant data, with the ultimate goal of identifying and preventing defects before they become apparent to the end user. The DMADV or DFSS (Design for Six Sigma) methodology is used to design and develop new products or business processes. The goal is to prevent design flaws before they become baked into a process and heighten the risk of defects. Define and elaborate design goals consistent with customer needs (general and for specific similar products) and company goals. Measure the new product’s or process’s characteristics, capabilities, production process parameters, and potential risks. Analyze data collected during the “M” step to develop alternative product and process designs. Design the best product or process configuration based on the results of the analysis. Verify that the design is functional, conduct pilot runs to game out the production process, and assist the eventual process owner with full-scale implementation. Though the Six Sigma doctrine is not difficult to grasp at a high level, the tools that aid its application and the analytic approach to understanding its outcomes are complex and not necessarily intuitive. Mastering Six Sigma principles takes a great deal of time, even for the most capable employees. Additionally, Six Sigma requires more than just lip service from management and production workers – it demands genuine, cross-organization buy-in, which in turn necessitates cultural change. Executive Leadership. C-level executive leaders set the initial strategic vision for Six Sigma implementation, assign roles to subordinates, and encourage the necessary cultural conditions for adoption. In practice, one executive (such as the chief operating officer) often “owns” Six Sigma implementation, but successful adoption almost always requires the executive suite to present a united front of support. Crucially, executives exert pressure on employees or departments that prove resistant to Six Sigma implementation, up to and including terminating or reassigning employees who actively impede its progress. Champions. Champions supervise and encourage the adoption of Six Sigma across the organization. Though they rarely supervise individual Six Sigma projects directly, they devote additional time and energy to specific initiatives that fall behind schedule or fail to produce results. Champions are usually senior executives, such as vice presidents of operations, who report directly to C-level leaders (if they’re not C-level themselves) and have the authority to issue directives across multiple teams and divisions. Subordinate Six Sigma practitioners exist in a hierarchy modeled after the judo belt system. Though there is no universal certification or quality standard for these belt levels, those at the top of the hierarchy (black belts and master black belts) typically have years of Six Sigma project experience and deep understanding of Six Sigma theory. Many universities and independent organizations (such as the American Society for Quality, or ASQ) offer certification courses that confer legitimacy. These courses often require documented evidence (via signed affidavit) of participation in a certain number of Six Sigma projects or years devoted to Six Sigma work. Despite the lack of standardization, Six Sigma certifications are very important, particularly for professionals who plan to leave their current employers and need to demonstrate their grasp of Six Sigma principles. Master Black Belts. Master black belts are senior management-level employees who devote all of their time to Six Sigma projects, whether by acting as consultants on individual projects, mentoring subordinates who are directly supervising projects, or conducting investigations and analyses to identify potential Six Sigma initiatives. Master black belt certifying bodies generally require candidates to have extensive experience at the lower levels of the Six Sigma hierarchy – for instance, ASQ requires applicants for its master black belt course to document at least five years of black belt experience or leadership of 10 discrete projects at the black belt level. Black Belts. Black belts are management-level employees who devote most or all of their time to Six Sigma projects, generally as project leads. They’re usually the most senior employees involved in direct execution of specific Six Sigma projects. To qualify for black belt certification, candidates need to have substantial Six Sigma experience – ASQ requires leadership of at least two documented Six Sigma projects, for example. Green Belts. Green belts are lower-ranked employees who have solid understanding of Six Sigma principles, and are frequently assigned discrete tasks that contribute to the execution of Six Sigma projects, but do not devote all of their time to Six Sigma work. To qualify for certification, documented evidence of participation in Six Sigma projects is generally required. Yellow Belts. Yellow belts are entry- or lower-level employees who have Six Sigma “awareness,” including basic familiarity with common Six Sigma tools and methods. They’re capable of contributing to Six Sigma projects, but are not expected to solve high-level problems. White Belts. White belts have basic understanding of Six Sigma concepts, but are not expected to participate in Six Sigma projects. They’re often members of support staff or non-production employees for whom the primary benefit of Six Sigma knowledge is ease of communication with higher-ranked Six Sigma professionals. Larger organizations that adopt Six Sigma sometimes set up intra-organizational structures – divisions or teams – devoted entirely to directing Six Sigma implementation, guiding the required cultural changes and managing specific Six Sigma initiatives. Though these structures vary from place to place, they’re typically run by a champion who reports to senior executives, and staffed by master black belts and black belts. Smaller organizations may not be able to afford this level of separation and specialization. Instead, they may simply encourage employees to attain progressively higher levels of Six Sigma certification; ensure that Six Sigma knowledge is spread appropriately throughout the organization, especially among management-level process owners; and take Six Sigma certifications into account when promoting, reassigning, and terminating personnel (for instance, by promoting employees who take the initiative to attain higher Six Sigma levels or demonstrate exceptional aptitude with the doctrine). Lean Six Sigma (LSS) is a newer doctrine that combines certain principles of Six Sigma and lean manufacturing/lean enterprise (or, simply, “lean”), a process efficiency doctrine first developed by Toyota. 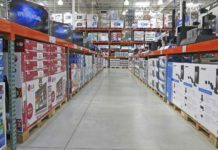 Though originally intended for use by manufacturers, lean is increasingly popular with technology companies and service providers. It’s unclear exactly when and where Lean Six Sigma first arose, but Michael L. George’s 2002 book Lean Six Sigma: Combining Six Sigma Quality With Lean Production Speed is credited with the first comprehensive articulation of the approach. 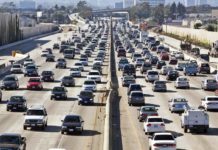 Lean Six Sigma quickly gained traction among productivity-obsessed executives, particularly after the carnage of the 2008 financial crisis and subsequent recession. In many industries, its popularity has eclipsed Six Sigma’s. LSS uses the DMAIC framework to achieve a basic goal: removing waste from business processes. According to GoLeanSixSigma.com, an online consultancy and course developer, LSS defines “waste” as “any step or action in a process that is not required to complete a process successfully.” LSS projects are therefore designed to remove wasteful inputs until the only inputs that remain are those that are absolutely required for the relevant process. LSS identifies eight different types of waste, sometimes referred to as “muda,” a Japanese word that roughly translates to “futility.” It was entered into the English business lexicon via the Toyota Production System, which gave rise to the broader lean manufacturing doctrine. Like Six Sigma, Lean Six Sigma utilizes the judo belt hierarchy. However, attaining a certain belt level in one doctrine does not confer comparable mastery of another doctrine – a Six Sigma black belt cannot claim to be a Lean Six Sigma black belt, nor vice versa. Likewise, parallel certification course and certifying bodies, such as the Lean Six Sigma Institute, cater to LSS professionals. 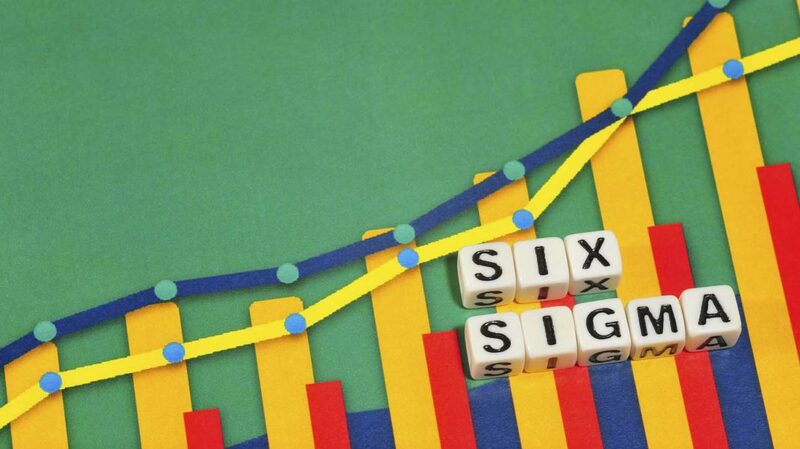 Six Sigma and Lean Six Sigma have gained tremendous traction since their introduction. They, along with other process efficiency methodologies, are often framed as things that business leaders need to “get on board with” – that, once adopted, they’re integrated fully into the business as organic, nonnegotiable components. However, like any aspect of business culture, Six Sigma and Lean Six Sigma aren’t necessarily static. After adoption, companies can and do change their relationships with these methodologies. For example, according to the Rochester Democrat & Chronicle, Xerox announced in 2014 that it would disband its dedicated Lean Six Sigma team, eliminating roughly a dozen jobs. A spokesperson framed the decision as a victory for Lean Six Sigma culture at Xerox, noting that the program had produced 2,500 green belts over the course of a decade, and emphasized that “Lean Six Sigma is alive and well at Xerox.” But, without an internal cohort of Lean Six Sigma champions, it’s very easy to imagine the culture they helped create at Xerox eroding in the years to come. Does your company use Six Sigma, Lean Six Sigma, or any other efficiency doctrine?